These tips will help you break past weight loss plateaus. Getting over the hump can sometimes feel impossible and you may be ready to give up. Now is the time to try something different to shake up your diet plan. Your weight loss diet plan was working so well, but all of a sudden, things are not going as planned. Have you hit a plateau or even started to gain some weight? With any diet you will eventually hit a plateau in weight loss or run the risk of falling off track. We all hit that point where we are doing everything right, but with little or no results. When you first start off you will lose weight more quickly, but as you shed the first few pounds, the body begins to adjust. In order to push past your plateau in weight loss you may want to make some changes. Try these tips to get over the hump and get you losing weight once again. If you are like many people your exercise routine is similar from day to day. Perhaps you always exercise in the morning for 30 minutes alternating between aerobics and strength training. Exercise is great and you don't want to stop this step. If you want to get past your weight loss plateaus, then now is the time to mix it up. Instead of doing only 30 minutes add 15 more minutes to your workout. Change the time you workout. Try switching to working out in the evenings before dinner instead of first thing in the morning. Or divide your exercise time into two sessions. Your body has gotten used to the low intense workout and therefore is not as challenging. So challenge yourself and your body so you can burn more calories and say goodbye to your plateaus in weight loss. You've been eating the right foods and the right portions. You are counting your calories and tracking the foods you eat. Yet you have still hit a few weight loss plateaus and the pounds are no longer falling off. Just like with exercising now is the time to make some changes. If you have been eating 3 meals a day try breaking these into 5 or 6 smaller meals throughout the day. Eating smaller meals more often keeps your metabolism revved up to burn more calories. Try adding a bit more protein and less carbs to your meals. Check out this article on carbohydrates definition. It's also time to adjust your calorie intake. As you lose weight the amount of calories you need is less. So double check your calorie intake for weight loss. Use this free weight loss calculator to redetermine your calorie needs. 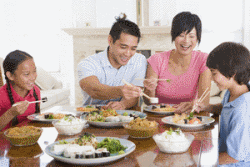 If you are finding it hard to curb your appetite, be sure to check out this article. For this tip on get over weight loss plateaus you may be saying that I'm crazy. You are probably thinking, I'm trying to lose weight so of course I'm dieting. Well this tip is all about the way you think about losing weight. A weight loss plan implies life long changes and not just short term adjustments. Whereas a diet implies a short term temporary situation. So when I say don't diet, I mean don't think short term. Instead, make it a lifestyle change. Think of your weight loss in the long term and change your habits from "dieting" to eating healthy. Perhaps now is the time to relax and let your body adjust to your new metabolism and weight. Don't worry about losing that next pound but instead take it easy for a week or so. Then get back to tracking your calories and your foods. By relaxing a bit will often get you past those weight loss plateaus. One way to overcome weight loss plateaus is to confuse your metabolism. To do this, you are going to mix up the calories. So, instead of tracking your daily calories try tracking them for the week. Alter your calorie intake daily to keep your body guessing. What do I mean by this? Well on one day eat a few hundred calories less than your normal intake. Then the next day eat a few hundred more calories. This zig-zagging, or calorie shifting is a method that just may push you past your plateau. It's a way to keep your metabolism guessing which in turn should keep it working to burn calories. 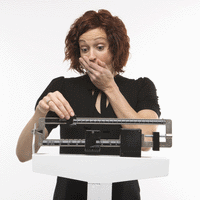 Just make sure your weekly total does not exceed your calorie intake for weight loss. Often when people start to see success in their weight loss they relax a bit on measuring, tracking and recording. Maybe you think you are consuming the right amount of calories and burning the right amount of calories. However, if you are not tracking and recording this you are just assuming and guessing at the numbers. So double check you have everything right and go back to recording your calories. Track both what you eat in terms of calories and how much you are exercising and burning. Here's a helpful article on burning calories for weight loss. Even if it's just for a few weeks to get you past the plateau in weight loss and back to losing weight. Try adding some of these metabolism booster foods to get past your weight loss plateaus. Try adding some of these methods in your daily routine to boost your metabolism and get past the hump. Mix up your foods to get past the plateau and try something new for your next meal. Select from breakfast, lunch, dinner, appetizers and more. Use these example circuit training workouts to mix up your exercise routines. Circuit training is a great way to mix up your exercise routines.